Lene Berg (*1965) was educated as a film director at the Dramatiska Institutet in Stockholm. She works with video and installations, photography and text. 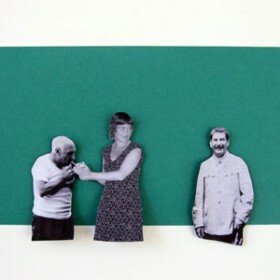 Her video The Man in the Background and her publication, Gentlemen and Arseholes, were launched as two parts of one project about art and propaganda during the Cold War. The project focused on the cultural journal ‘Encounter’ that had been founded and distributed in 1953 as one of the undertakings of the Congress of Cultural Freedom (1957-1967). Berg’s approach called into question what was defined as a ‘liberal conspiracy’ and what was otherwise deemed a successful state sponsored cultural effort carried out by a powerful intelligence agency. Amongst other exhibitions, Berg has participated in 'Transmediale' (2008), Berlin, 'Pensee Sauvage' (2007), Frankfurter Kunstverein, 'Headlines and Footnotes' (2008), Henie Onstad Kunstsenter, Norway, an the 'Sydney Biennale' (2008). She lives and works in Berlin and New York. Lene Berg presents her film ‘Dirty Young Loose’ as official contribution to the 55th Biennale di Venezia, 28 May until 22 September 2013 at Galleria di Piazza San Marco of Fondazione Bevilacqua La Masa. From 9 October 2010 until 9 January 2011, Lene Berg is taking part in Manifesta 8, showing her new video piece Shaving the Baroness.